A powerful new work by South African composer, Stephen Carletti, will be premiered at the Songs of the Rose concert at the Epworth Chapel on June 20 and June 21 at 18h45. Based in Cape Town, Carletti was commissioned by the Pietermaritzburg school to write the sacred cantata, Mother of God, a 25-minute, eight movement work for choir and orchestra, which tells the story of Jesus Christ’s life from the perspective of his mother, Mary. It will feature the full Epworth High School Choir, which is made up of over 100 girls. 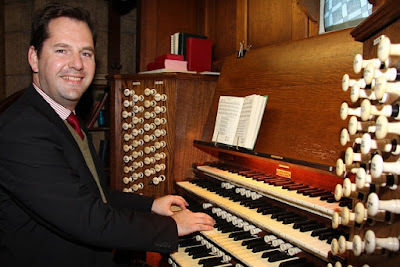 David Orr, head of music at Epworth, said Carletti’s work was initially going to be a Requiem, but he decided instead to create a Cantata based around works of female poetry. “That developed into Mother of God, a piece which celebrates the universal relevance of Mary, the mother of Jesus,” he added. Mother of God is Epworth’s third South African commission in two years, with the previous two featuring in its 2016 programme Songs of Light. During the concert the singers will be accompanied by Christopher Duigan on the piano and an orchestra featuring strings, saxophone, clarinet, flute and recorder. Duigan will also be performing two solo pieces – one of his own Nocturnes and, to tie into the theme of Mary, an improvisation of The Angel Gabriel From Heaven Came, a basque carol, paraphrased by Sabine Baring-Gould. “Chris did an improv piece in Let The People Sing, which was amazing, and then he did one with the Drakies [Drakensberg Boys Choir], so we asked him to do one for Songs of the Rose. It’s going to be wonderful,” Orr said. The choral works will continue with an early Baroque setting of the Ave Maria by Italian composer, Giulio Caccini, a performance of Amanda McBroom’s The Rose, made famous by Better Midler, and a new work, A Wedding Blessing, by Grant McLachlan, which is based on a poem by Frank Barry. “We commissioned Grant to write a piece last year and we’re delighted to be singing A Wedding Blessing, a work he wrote for his wife for their wedding. It’s lovely to be able to commission works, like this, which will have a life after the concert,” said Orr, adding that matric pupil, Awande Zuma, would be singing a solo in the piece. Also being premiered at the concerts is a new work by Simon Bester, who joined the Epworth Music department at the beginning of 2017. Bester, who studied for his B Mus degree in Stellenbosch, has composed Rosa Rosarum, a piece for small orchestra and chamber choir, which is in keeping with the floral theme of Songs of the Rose. It is one of two of Bester’s works on the programme. It will be performed by the school’s Cantabile Choir.